For those of you that haven’t heard the name Jordan Romero, Jordan is a young climber who had the dream to climb all 7 summits. Jordan Romero reached his goal on May 22, 2010 by summitting Mount Everest at only 13 years old Jordan is the youngest to reach the summit. For more information about Jordan Romero, his team, and his sponsors like FRS Healthy Energy check out the videos below. 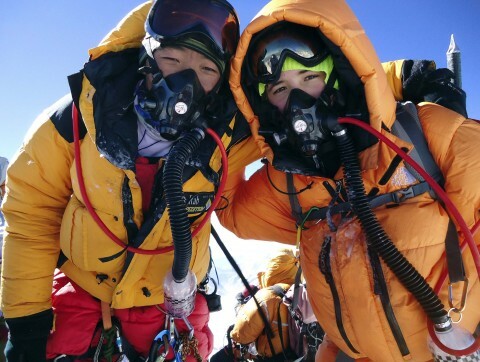 At 13, Jordan Romero was the youngest person to climb Mount Everest. FRS fueled his journey. Eleven Year Old Jordan Romero is on a quest to climb the 7 Summits. Here he summits Mt. Aconcagua, the highest peak in South America and becomes the youngest person to ever stand on this summit. This entry was posted on Monday, January 10th, 2011 at and is filed under Climbing Media, Climbing News, Mount Everest, Rock Climbers. You can follow any responses to this entry through the RSS 2.0 feed. You can leave a response, or trackback from your own site.